Chancellor Street Preschool Cooperative has been inspiring and educating children through creative play for more than forty years. Located on the UVA corner, we offer a caring and engaged community for families who want to be actively involved in their children’s education. Our school opened in 1972 as a non-profit school independently operated by the parents. Housed in the education wing of St. Paul's Memorial Church, our preschool rents space and some equipment from the church, but is not otherwise affiliated. Chancellor Street Cooperative Preschool is incorporated and has a board of directors headed by two parent co-chairs who are elected by their fellow C-Street families each spring. On a typical day, our preschoolers might act out a fairy tale, play music with our incredible instrument collection, dress up as firefighters, make wood sculptures with real hammers and nails, or go wherever their imaginations take them. 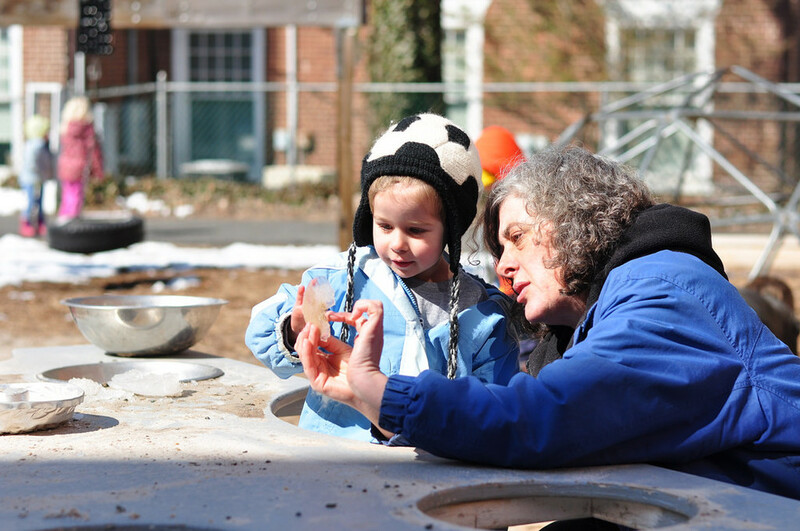 Our play-based philosophy includes time outside every day, rain or shine, digging in our garden, making mud pies in the sand, or taking a field trip to UVA’s gardens to see the changing seasons. At Chancellor Street we value and offer…. Our parents are actively involved in every aspect of the running of the school. We go outside everyday, barring thunderstorms, to enjoy our garden and playground. We make time to celebrate the cultures of all our students. We learn about our community though walks to the nearby UVA gardens and field trips in Charlottesville. Chancellor Street has been our home for over forty years. We have a very high retention rate for our teachers.